Who doesn't love to be entertained? Some people like to laugh, while others prefer a good cry. Some like to groove to great tunes while others enjoy screaming in terror. The best TV, music, and movies have the power to move viewers or listeners profoundly. They're also a great way to escape, to turn off your mind for a few hours and just let the stories or songs wash over you. While it has been decried for creating a generation of couch potatoes with short attention spans, few things have the enduring power and cultural impact of the best TV shows. People laugh, cry, and rejoice over television shows that capture their interest. From classic hits from days gone by to contemporary hits, television shows provide hours of in-home entertainment and more. The best pre-school shows offer educational benefits, and it's even possible to shop via TV. 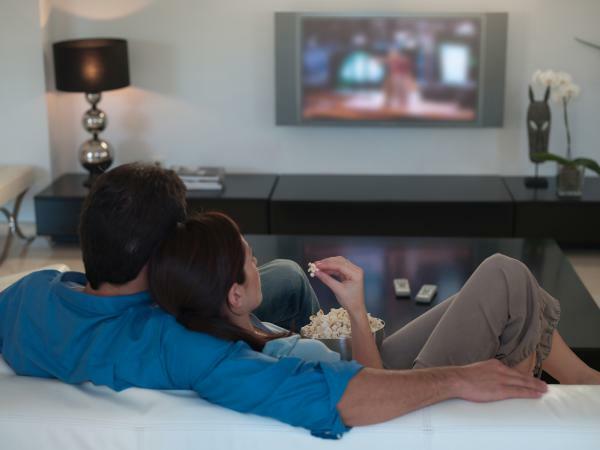 People connect over TV, sharing thoughts on everything from the latest reality shows to the best commercials, neighbors, co-workers, and family. Some songs perfectly capture a moment in time, taking listeners back to that event or decade instantly. Others are timeless testaments to human emotion and experience. From songs that are played in bars to beloved folk songs, jazz tunes, or dance hits that make you want to get your groove on, music can really move! It doesn't matter if your favorite musical artist is Elvis Presley or Snoop Dogg - everyone has a song (or several!) in their hearts. Movies immerse viewers in new worlds and experiences like no other media can. From sentimental favorites like It's a Wonderful Life to modern classics like The Godfather, there are plenty of great movies to watch. Whether you love the romance of emotional love scenes or the modern adventures depicted in anime movies, you can relax and unwind at the big screen. Or, if you missed that great movie when it hit theaters, don't worry! It it's available on DVD, Blu-Ray, or via your favorite streaming service. Whether you're looking for the best movies of all time, the best songs for your wedding, or the best shows in a niche genre like anime, this category offers compilations of the best TV, music, and movies to help you find the perfect titles for your entertainment needs.